This looks right to me as long as you have a two transformer system; separate power supplied for both heating and cooling. The common for this system must use the common from the cooling transformer. You clearly have the brown wire connected to the B terminal and the blue to the C. This is correct. 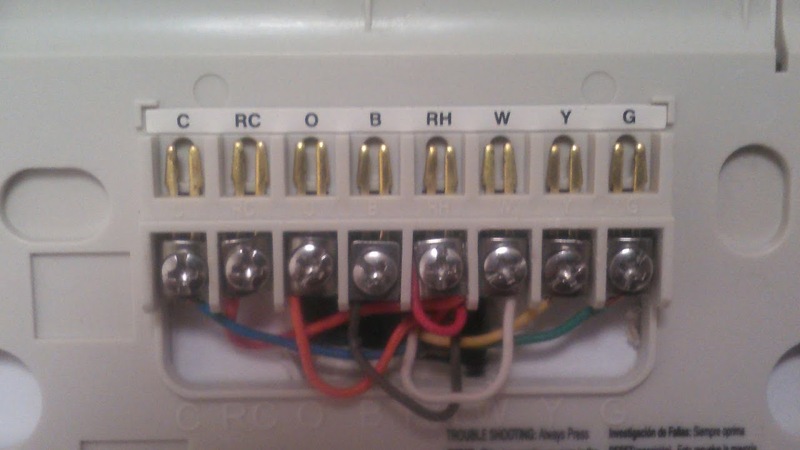 The C terminal supplies power for the operation of the thermostat. The brown wire will be used to carry the signal in the event that the changeover valve is energized in the heating mode and the orange if in the cooling mode. Not the answer you're looking for? Browse other questions tagged thermostat thermostat-c-wire heat-pump or ask your own question. 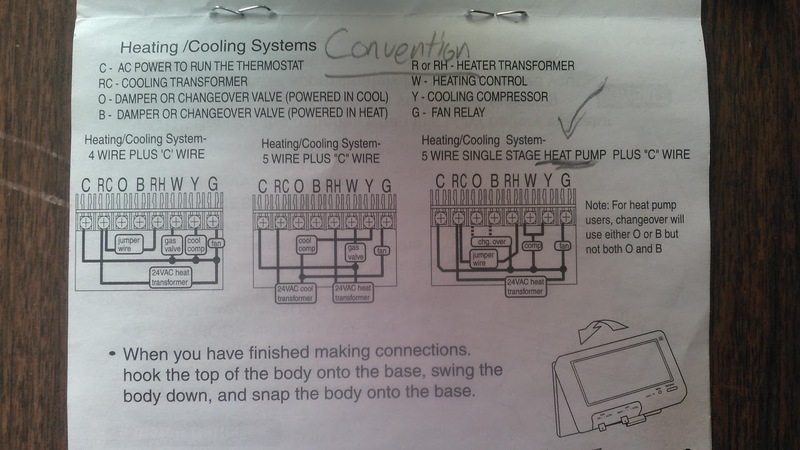 Where can I connect the C wire on the A/C side? Where to attach the “C” wire to my furnace? Wiring a C (common) wire to a Triangle Tube Prestige Excellence 110?